Every year for the past four years me and my friends totally disregard every cabin movie ever made to celebrate the birth of Satan in a creepy cabin in the backwoods of Halle. In case you were wondering: Yes, of course we appropriately christened the event HalleWeen. Every year I ask myself why it is, exactly, that we wilfully seek out the unholy trinity of complete remoteness, a near 360 degree view of the woods and no indoor plumming, but every year we end up having a spooktacular time. We watch a bunch of scary movies, make Oscar-worthy videos like this one, and basically live like filthy pigs for two days. I ate pumpkin quiche and salt & pepper chips for breakfast, so jot that down. 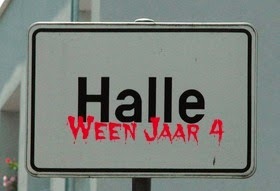 My favorite movies from this year's HalleWeen installment were Paranormal Activity 4, The Conjuring, and Hostel 2. Paranormal Activity 4, made by PA3 directors Ariel Schulman and Henry Joost, is the sequel to PA2 and finally moves the Katie & Hunter plot forward -- raising more questions along the way. The central character is teenage girl Alex (Kathryn Newton). When her family takes in creepy neighbor boy Robbie, paranormal activity ensues, providing more of what made the franchise so succesful. 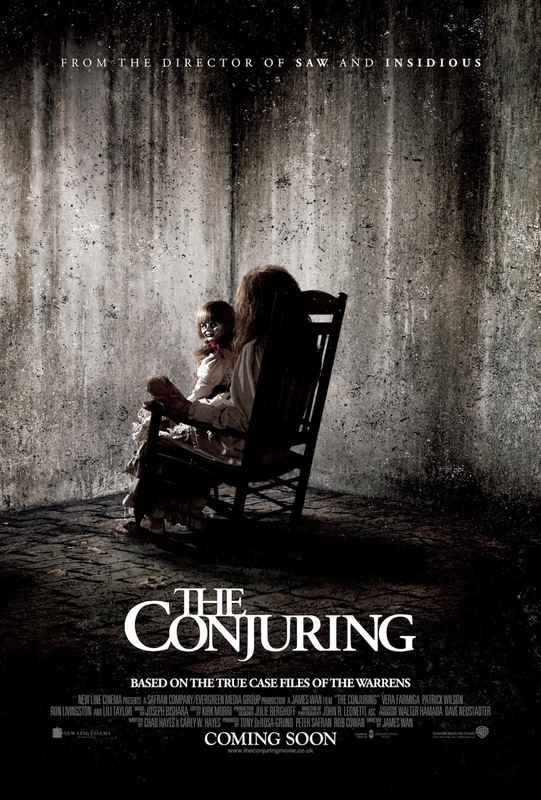 The trailer for The Conjuring had effectively sent a wave of terror through my family, greatly inciting my curiosity for the James Wan vehicle. When the seven-member Perron family moves into their new farmhouse home, they soon become terrorized by a dark presence. The family then seeks out Ed and Lorraine Warren, a pair of demonologists, to investigate the curious case. 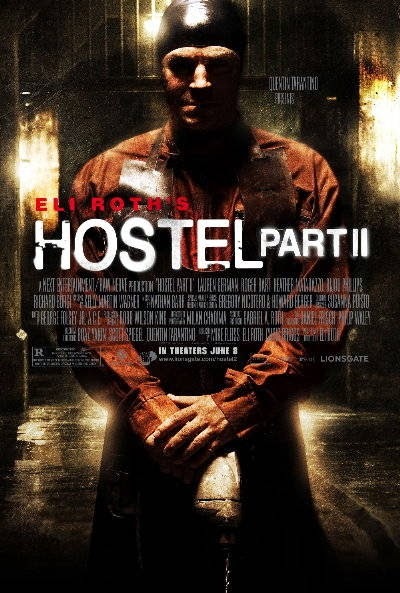 Hostel 2, director by Bear Jew Eli Roth, is the sequel-slash-remake of 2005 horror hit Hostel. H2 was not quite as dark as its predecessor, but I enjoyed how the focus shifted to the Elite Hunting organization. The victims for this Hostel installment are art students Beth (Lauren German), Whitney (Bijou Philips), and Lorna (Heather Matarazzo), who travel to Slovakia for an impromptu spa weekend. So, how did you celebrate Halloween this year?